Located in a historic granary in the Eastern Harbour, this venue has everything we need for a great event. 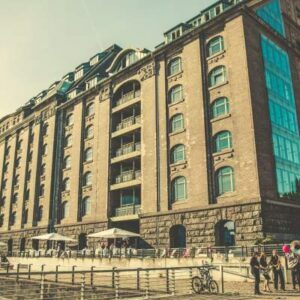 This modern event venue offers a great view on the Oberbaumbrücke and the Harbour. 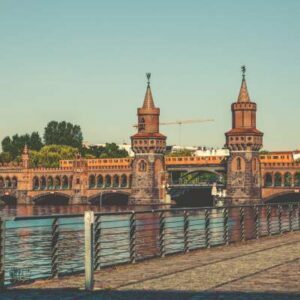 It is situated in a historic environment – the former border between East and West Berlin- the Spreespeicher is easy-to-reach: taking the motorway A 10 as well as using public transport, the Stations Ostbahnhof and Ostkreuz are close by. The Friedrichshain area is one of the trendy areas of Berlin. Most important things to see are the East Side Gallery, Karl-Marx-Allee, Frankfurter tor and the Oberbaumbrücke.